I had fully intended to share a love poem or letter today from one of our collections in honor of Valentine’s Day. But what I found instead was simply too good to pass up. 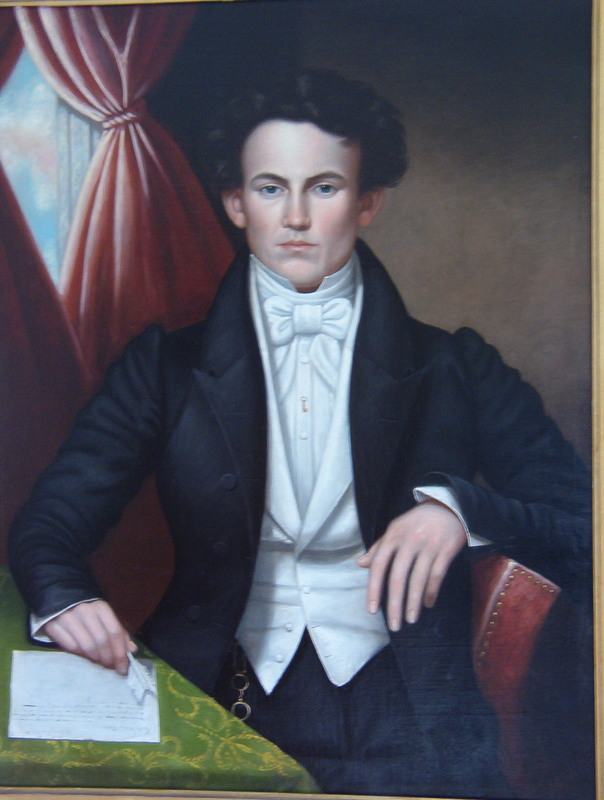 In 1829, when he was just 21 years old, Lloyd Granville Sampson (1808-1838) penned an essay and poem about the joys of being a bachelor. He obviously could not see 3 years into the future or he would have known he would be leaving the “state of single blessedness” by marrying the lovely Mary Winsor. I wonder if she had any inkling of his views on marriage? Based on Sampson’s other writing we can assume the following is a bit tongue-in-cheek. He also seems to protest a bit too much, perhaps he was mending a broken heart. Whatever the reason, I hope you enjoy this very un-Valentine’s day post. If I leave no heir behind me. This entry was posted in Uncategorized and tagged bachelor, Cephas Thompson, Duxbury, Lloyd Granville Sampson. Bookmark the permalink.